MPs have rejected the withdrawal agreement by 286 votes to 344, majority 58. THE European Commission reacted to the Westminster vote saying that the EU is now “fully prepared” for a “likely” no-deal scenario at midnight on April 12. 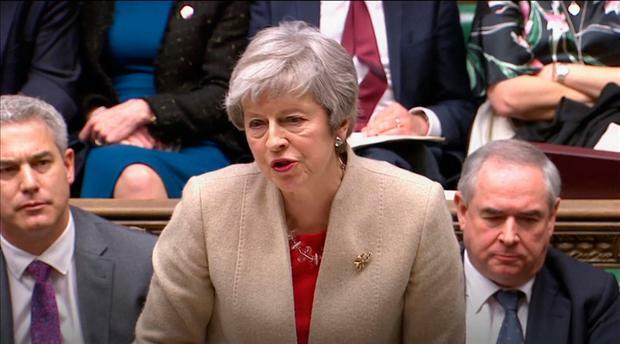 The UK Parliament was this afternoon voting on a stripped-down version of Mrs May’s twice-defeated divorce deal agreed with Brussels. But it was defeated by 58 votes – a major improvement on previous defeats for Mrs May, but still a significant defeat. It is widely believed that the result may now result in the British government going back to the European Union and asking for a further – much longer – extension to Article 50. Britain was supposed to have left the EU today but was allowed delay its departure while Mrs May battles to try to get a consensus on how and when to leave. That seems as far away as ever, but her withdrawal agreement is almost certainly now dead in the water. The European Commission reacted to the Westminster vote saying that the EU is now “fully prepared” for a “likely” no-deal senario at midnight on April 12. The statement said: “A “no-deal” scenario on 12 April is now a likely scenario. The Commission also warned that the benefits of the Withdrawal Agreement, including a transition period, will “in no circumstances be replicated in a “no-deal” scenario”. It also said: “Sectoral mini-deals are not an option”. EU leaders are set to meet at an emergency summit on two days before Britain’s new departure date. European Council president Donald Tusk responded to the Westminster vote saying on Twitter: “In view of the rejection of the Withdrawal Agreement by the House of Commons, I have decided to call a European Council on 10 April”. Meanwhile, Taoiseach Leo Varadkar has warned that it’s up to the UK to say how it will avoid a no-deal Brexit which he said is a “growing possibility”. Mr Varadkar said: “It is now up to the UK to indicate how it plans to proceed in order to avoid a No Deal scenario. He welcomed the decision of European Council President Donald Tusk to call an emergency meeting of EU leaders on April 10, two days before the UK could crash out without a deal. Mr Varadkar noted that he himself will meet French President Emmanual Macron and German Chancellor Angela Merkel next week and will speaker to other heads of government by phone. Mr Varadkar also said: “I believe we must be open to a long extension should the United Kingdom decide to fundamentally reconsider its approach to Brexit and put back on the table options previously ruled out. “I believe that will result in a generous and understanding response from the 27 [remaining member states]”. 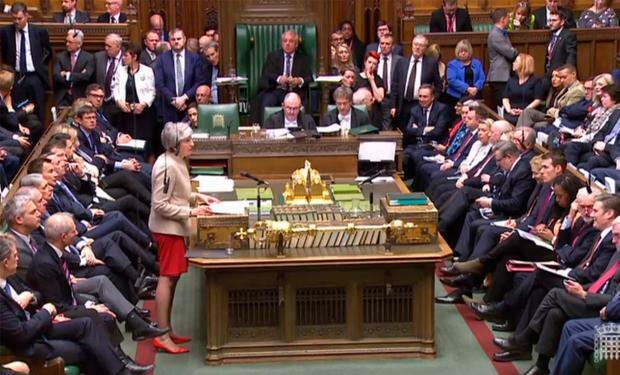 Mrs May, speaking after the defeat, said: “I think it should be a matter of profound regret to every member of this House that once again we have been unable to support leaving the European Union in an orderly fashion. “The legal default now is that the United Kingdom is due to leave the European Union on 12 April – in just 14 days’ time. Mrs May went on: “The European Union has been clear that any further extension will need to have a clear purpose and will need to be agreed unanimously by the heads of the other 27 member states ahead of April 12. “I fear we are reaching the limits of this process in this House. This House has rejected no-deal. It has rejected no Brexit. On Wednesday it rejected all the variations of the deal on the table, and today it has rejected approving the Withdrawal Agreement alone and continuing a process on the future.